M-Net (channel 101) will show the movie Snatched on June 3 at 20h30. Snatched is a 2017 American comedy film directed by Jonathan Levine and written by Katie Dippold. 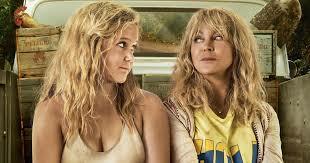 The film stars Amy Schumer and Goldie Hawn (in her first film since 2002's The Banger Sisters), with Joan Cusack, Ike Barinholtz, Wanda Sykes and Christopher Meloni in supporting roles.